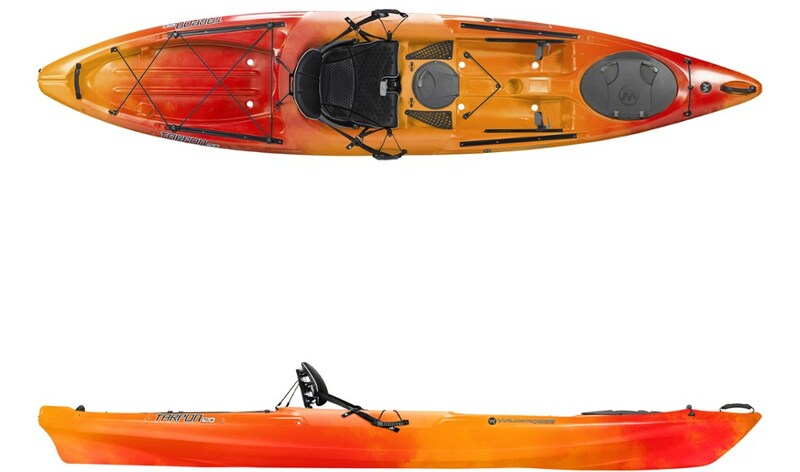 One of the best balanced "all around" kayaks available. The Wilderness Systems Tarpon 120 is not marketed as a lightweight boat, so I'm not going to deduct points because it's heavy, but know that it is. The hatch covers look super cool, but I've yet to know one that doesn't leak. So now you know the bad. Now let's talk about the good. The seat is adjustable three different ways while you're sitting in it and offers one of the driest rides in the business. No sitting in a puddle. These attributes help make long days on the water even more enjoyable. Most people find the seat very comfortable, myself included. 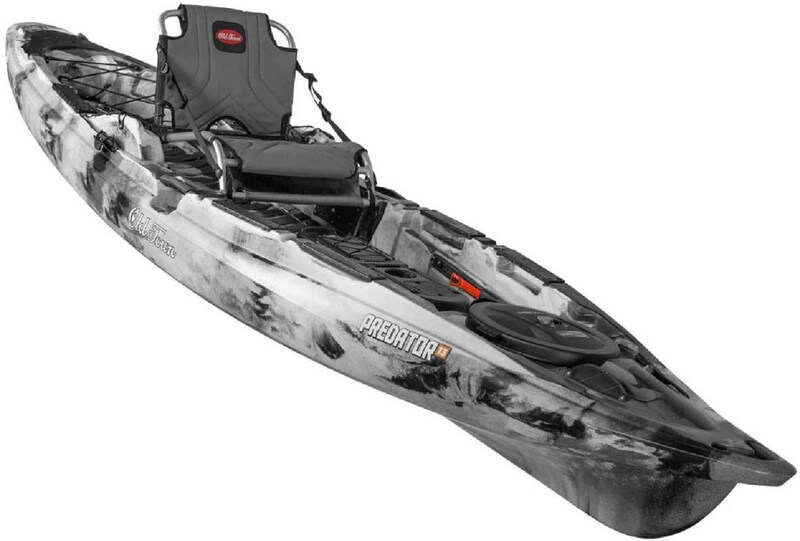 While there are five pre-molded locations to mount things like fish finders, a compass, rod holders, camera mounts, etc; there is simply no need to cut and drill the hull to do so because of the Slide Trax Accessary Rails which allow countless mounting options for pretty much anything. So it's quite adaptable for photography, fishing, videography, sails, etc. It's stable, tracks extremely well, and turns easily; with just a little practice if you're new to the sport. It fares pretty decently in the wind. These attributes make it great for traversing distances. It's also pre-equipped to accept lots of different rudder kits which can be handy in the wind, floating on rivers, and for photography...but a rudder is certainly not necessary. It has ample storage compartments sides and center and they're located perfectly within reach for snacks, gear, water bottle; you name it. A large rear tank well and front hatch offer more than enough stowage for multi-day camping adventures...just remember to put anything you don't want getting wet in dry bags. 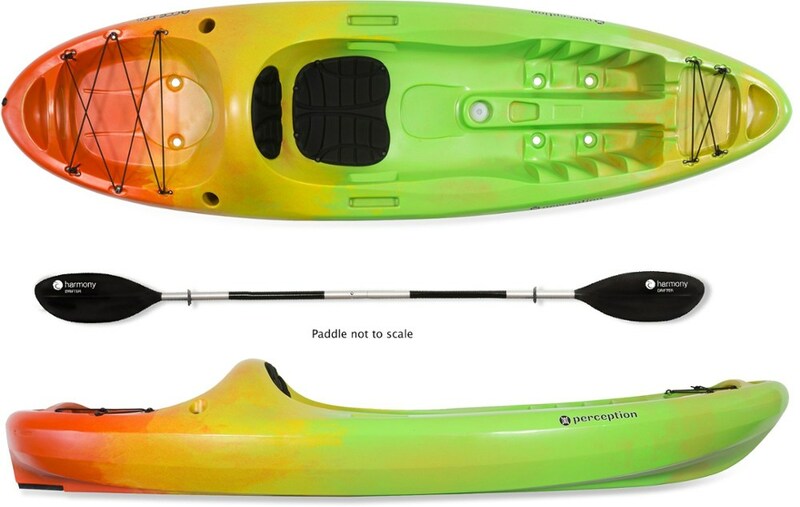 Finally it's a roto-molded, plastic boat, which though heavy, is virtually indestructible. The plastic used is top quality and you can expect it to last a lifetime with minimal care. Wilderness Systems markets it as a well rounded, do anything play boat, and that's how I'm reviewing it. It's not the "best" fishing boat, most "efficient", or lightest boat. 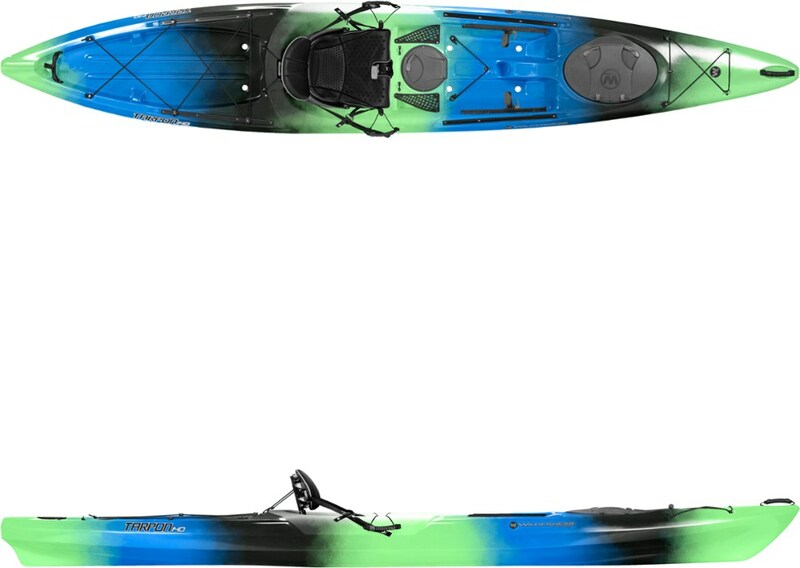 What it is, is a fantastic and well balanced "do it all" boat with a great feature set. While the hatches do leak, I feel the pros are too strong to let that one con drag the score down. Dry bags are cheap, that's what they're made for, and Wilderness Systems does not market the storage as water tight. To me and compared to other like boats, this is a five-star offering; 4.8 if I'm being picky. I've been kayaking for many years. 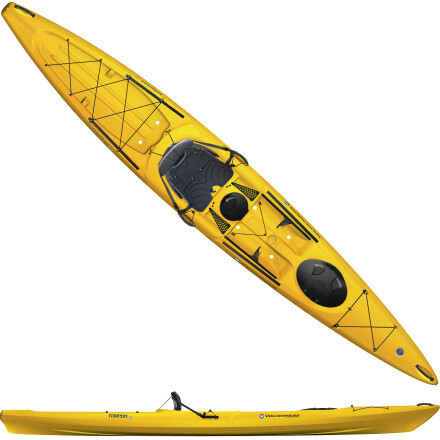 Kayaks are one of the most specialized water craft on the planet. 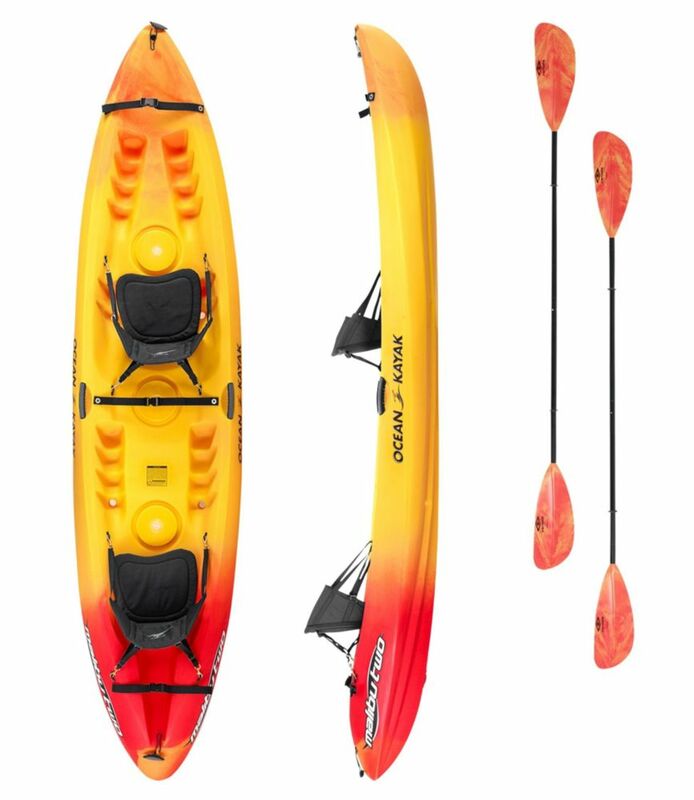 I own and have owned all kinds of roto-molded, thermo-molded, and composite kayaks. 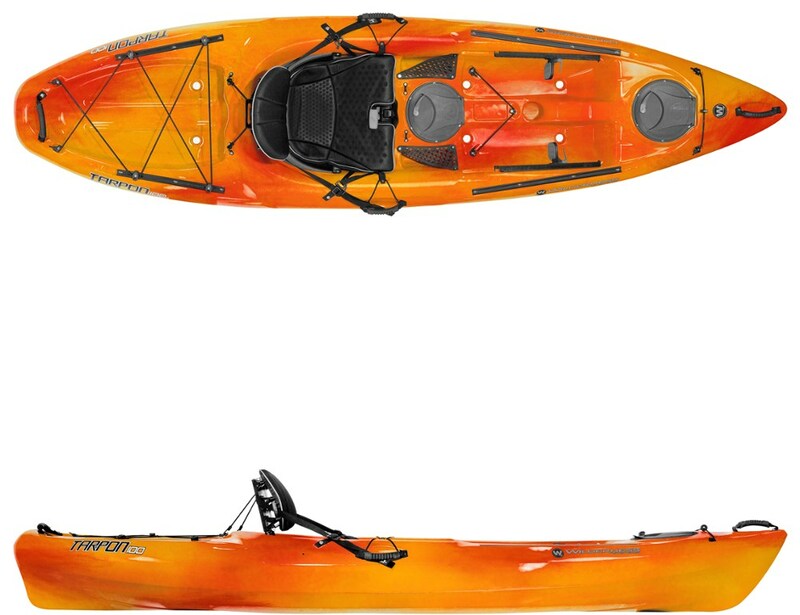 I currently and probably always will own a Tarpon 120 and a Tarpon 140 among the other kayaks in my fleet. For camping and trashing about on the rocks they can't be beat. My Tarpon 120 is about 10 years old (three so far with me) and despite the previous owner leaving it to bake in direct sunlight when not in use, it's still in great condition. In fact it looks almost as good as my 10 year old Tarpon 140, which I purchased new and have always stored out of the sunlight. Welcome to Trailspace, Wade! Thanks for the helpful review of your kayak. How long have you had yours? Also, I'd love to see some pictures of it in your review. too. Thanks! Nice picture, Wade! Where was it taken? Thanks, photography and kayaking are two passions I often combine. 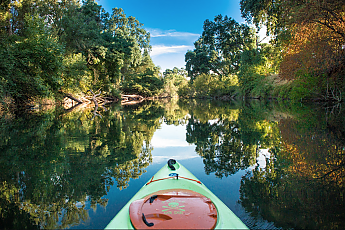 That was after work one day along the Mokelumne River. It's nice that you can combine the two passions outdoors! Thanks, Wade.